Prayer shawls woven from pure homegrown cotton are the best. They serve to let you be comfortable as you sit through long hours of ritual, and this one with the catchy saffron base colours of the variations would make you look eloquent for a pooja. 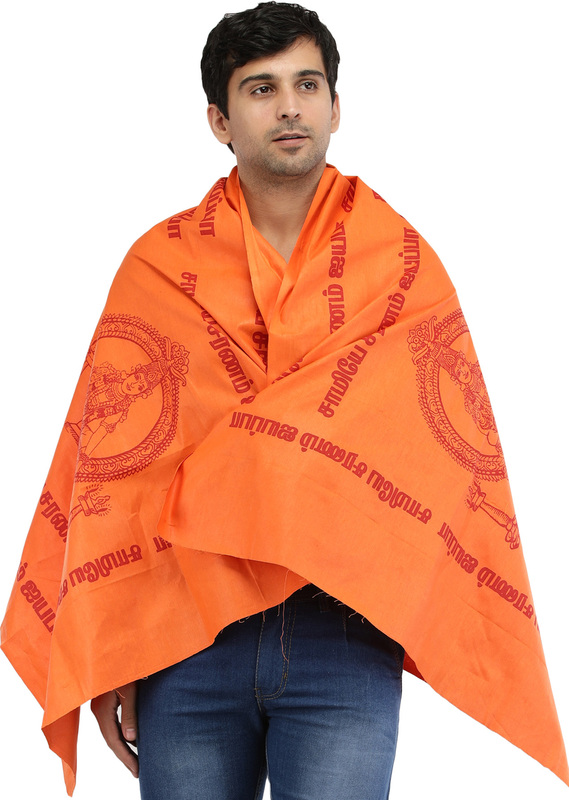 The name of the much-loved Tamil deity, Ayyappan, has been printed across the body of this prayer shawl, making it an ideal pick to team your ritual-wear with.